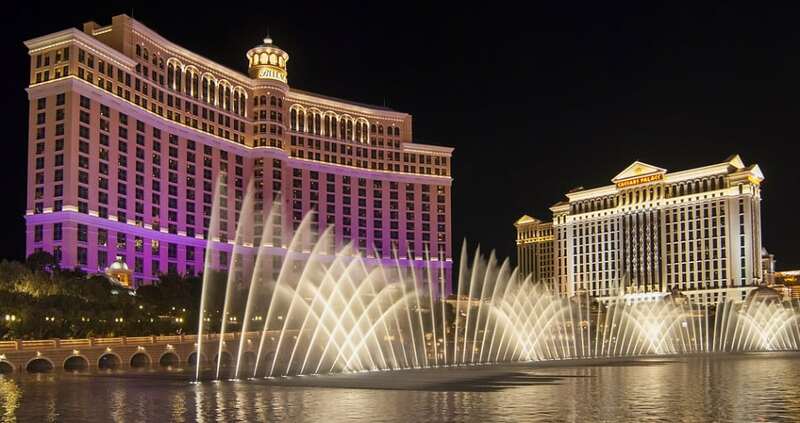 Bellagio Fountains, which cost $40 million to build, are located on the Las Vegas casino’s eight-acre lake and have 4,500 lights. The fountains can shoot water to the height of a 24-story building. The daily maintenance is carried out by 30 engineers who are also qualified scuba divers.